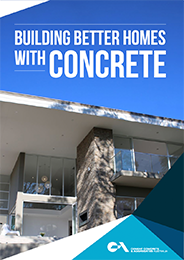 When it comes to driveways, paths, pool surrounds and alfresco entertaining spaces, concrete is unmatched in its functionality, economy and design flexibility. Concrete lets you create practical, beautiful outside spaces and surfaces that complement the appearance of your home. Formwork can be angled or curved to create flowing lines that follow the contours of your site, while the huge range of colouring and finishing options allows you to create something that’s truly reflective of your taste and style.